This property was amazing and great value for money. It was clean and very spacious. Damiano met us outside the apartment after us being held up in some traffic was kind enough to wait and contact me by whatsapp to check we had the right directions. Sound system through the bathroom and bedroom area was a pleasant surprise and a nice touch. Bed was clean and very comfy. Jacuzzi bath, and rooftop terrace were spectacular. 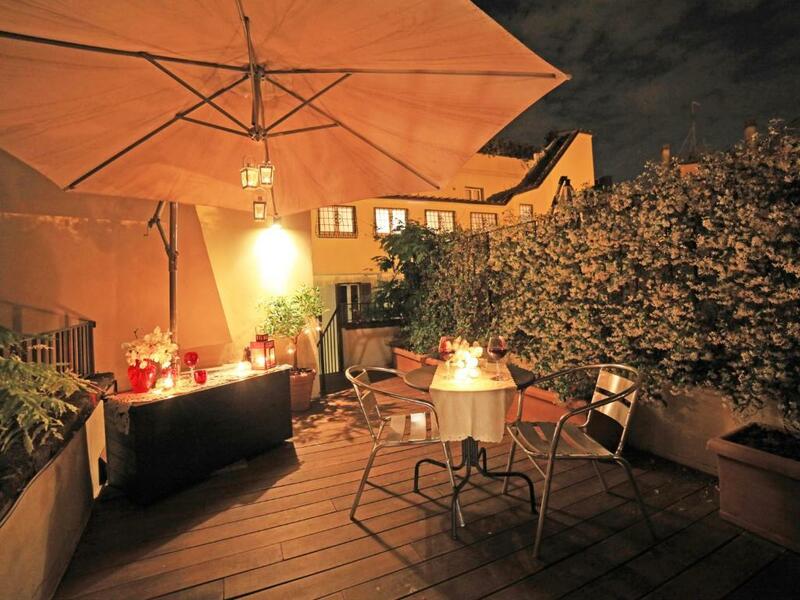 Location was perfect as right next to shops restaurants and only a 10 minute walk from the Colosseum. Could not fault this accommodation it was brilliant. Great hosts, location, air conditioning. 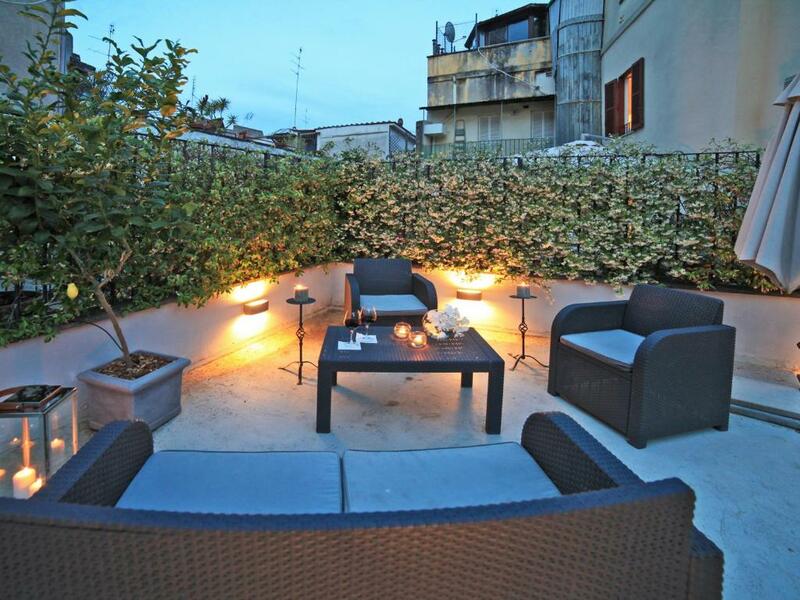 Nice and quiet location in the center of Rome. 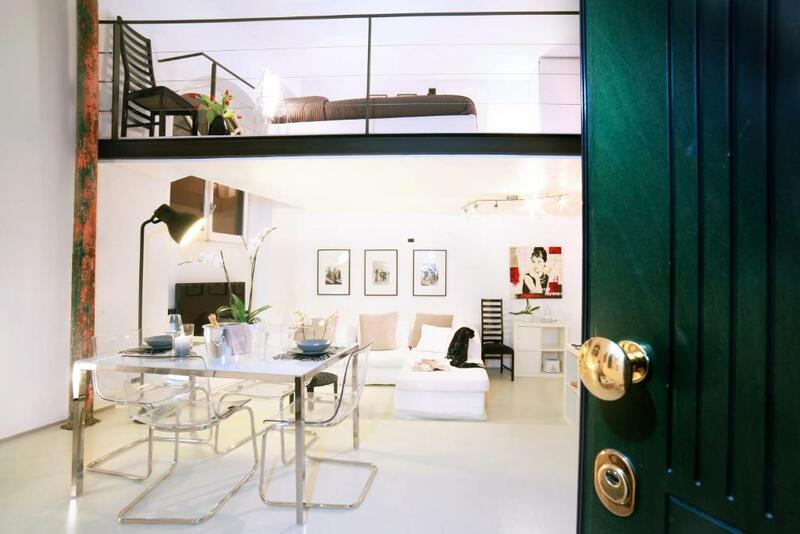 The apartment with two bedrooms was just like the pictures, very nice and big. The location was excellent, quiet at night and not far to walk. The whole atmosphere of Rome was extremely good. The sites were amazing. Just make sure your walking shoes are comfy,walked 55km in three days. Thank you for this very romantic place. 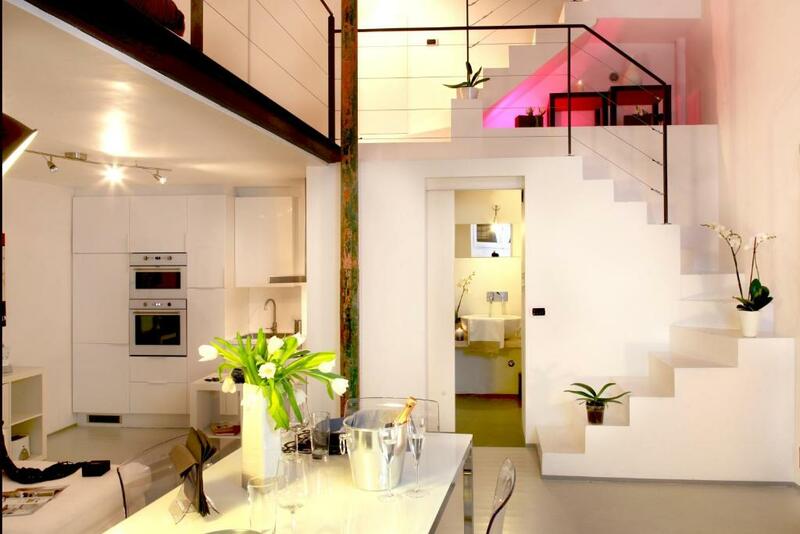 You can find small kitchen to make easy salad or pasta here, cute lightning, radio in room and bathroom. If wish to live in very Roman street it’s your choice. Quiet place and easy to reach Monti with cafes. 20 minutes to Fontaine de Trevi and Coleseum. And terrace is perfect for lunch with bread, wine and cheese. Mmmmmmm. Great location,could walk everywhere. Very clean and comfortable. Friendly staff. Great location, clean and comfortable. 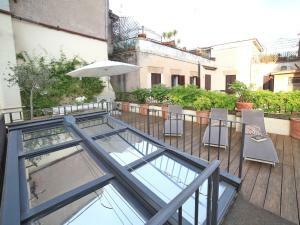 Walking distance to most of Rome and convenient for the Metro too. Lock in a great price for Nostromondo Ciancaleoni Palace – rated 9 by recent guests! Set in Rome’s historic center, 1,500 feet from Cavour Metro Station, Nostromondo Ciancaleoni Palace is a restored 15th-century building. This property offers apartments and studios with elegant modern furnishings and free Wi-Fi, all a 10-minute walk from the Coliseum. Featuring a terrace, all air-conditioned studios and apartments come with a fully equipped kitchenette with dishwasher. The private bathroom includes a bath tub or shower. Some apartments offer a spa bath. The Roman Forum is 2,150 feet from the Ciancaleoni. Roma Termini Station is 1 metro stop away. When would you like to stay at Nostromondo Ciancaleoni Palace? 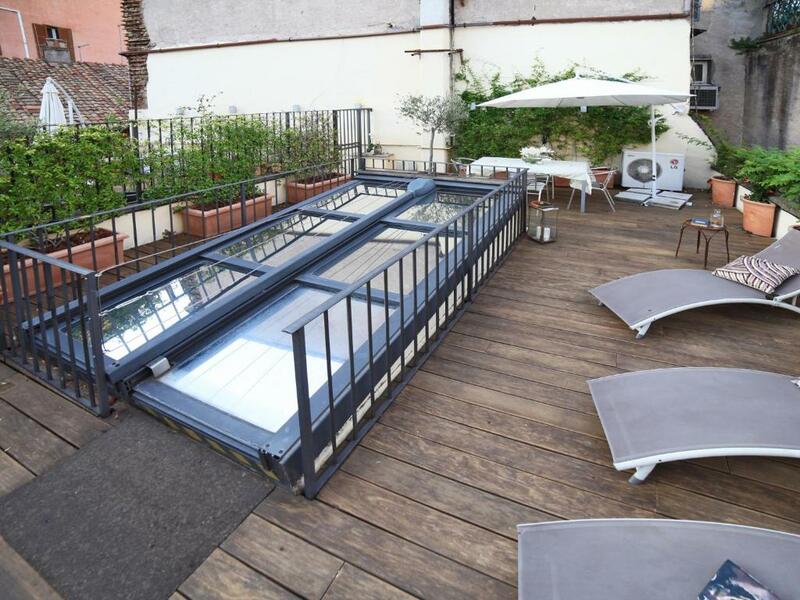 Featuring a spa bath and a terrace, this air-conditioned apartment offers free Wi-Fi, a flat-screen TV, and a kitchenette with dishwasher. The private bathroom includes a shower. Featuring a terrace and free Wi-Fi, this air-conditioned studio offers a flat-screen TV, and a kitchenette with dishwasher. The private bathroom includes a shower. 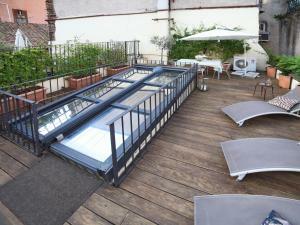 Featuring spa bath and a terrace, this air-conditioned studio comes with free Wi-Fi, a TV and a kitchen with dishwasher. The private bathroom includes a bath tub or shower. Featuring a terrace and free Wi-Fi, this air-conditioned studio offers city views, a TV, and a kitchenette with dishwasher. The private bathroom includes a shower. NOSTROMONDO® is the ideal accommodation to be part of the most authentic Rome. We love Rome and we strongly believe that only by living as Romans do, with no filters, you can taste its unique flavor. 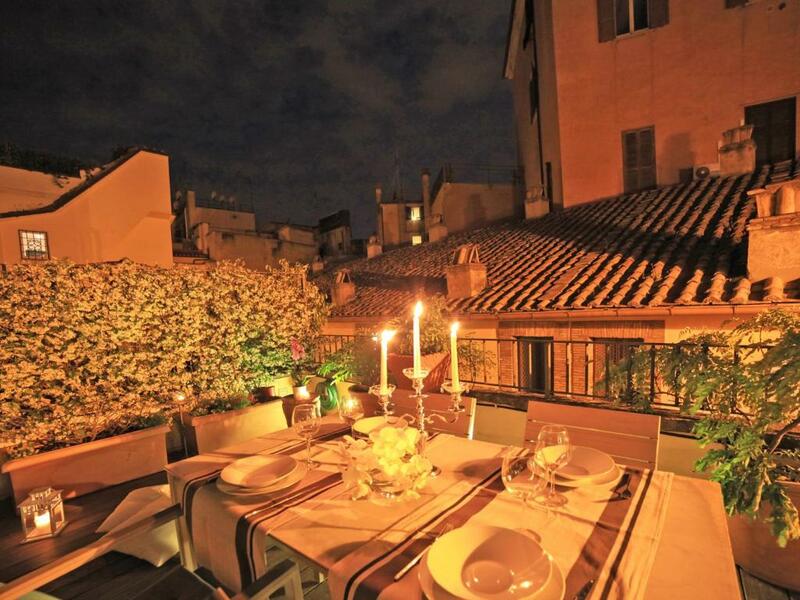 The area which it is located in is the charming Rione Monti, one of the most attractive and ancient area in the Centre of Rome, close to the Coliseum and many other sights of the Eternal city, such as the Forum and Piazza Venezia. 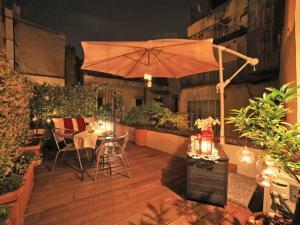 Furthermore is close to the Metro Station Cavour, (the one that precedes Termini, the main train and Subway Station). Area Info – This neighborhood is a great choice for travelers interested in Roman Ruins, food and sightseeing – Check location Excellent location – show map Guests loved walking around the neighborhood! House Rules Nostromondo Ciancaleoni Palace takes special requests – add in the next step! A EUR250 damage deposit is required on arrival (around USD281.09). This deposit will be fully refunded 14 days after check-out, as long as there isn't any damage to the property. Nostromondo Ciancaleoni Palace accepts these cards and reserves the right to temporarily hold an amount prior to arrival. A surcharge of EUR 20 applies for arrivals from 20:30 to 23:00, while a surcharge of EUR 40 applies for check-in after 23:00. All requests for late arrival are subject to confirmation by the property. The apartments are located in a limited traffic area. Please inform Nostromondo Ciancaleoni Palace of your expected arrival time in advance. You can use the Special Requests box when booking, or contact the property directly using the contact details in your confirmation. A damage deposit of EUR 250 is required on arrival. That's about 281.09USD. This will be collected by credit card. You should be reimbursed within 14 days of check-out. Your deposit will be refunded in full by credit card, subject to an inspection of the property. A hot water in a bath room at the ground floor run out very quickly. We did have a gecko in the apartment at one point (quite cute in honesty, we named him Jerry) but was caught and placed back outside to safety by us. There were a lot of mosquitoes that bitten and a lot of marks from people killing them on the walls. The apartment looks like needing a renovation. Leaving, wished we stayed longer. It was not easy to find the right place when we arrived. Another hotel was behind the same door and they opened for us when we arrived. The apartment had everything but no coffemachine. Crowds ( but expected) The price to clean the flat after we left €50 would have taken 30mins (max) €20 for turning up late on day one. Perhaps needs reviewing. As you always can see in small streets all your neighbors are near you. The location is quite central and quiet. Only 1 curtain which didn’t close fully. Would have loved a bath. Very comfortable stay with all our needs covered. The host was very warm and welcoming upon arrival.